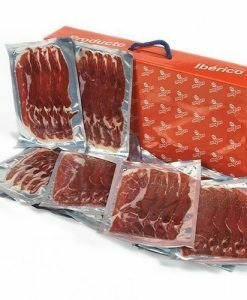 Bellota iberian ham Monteporrino is made at the spanish town of Salvaleon (Extremadura) from Iberian pig bred sustainably and fed on acorn base in natural rangelands of Holm Oak and cork Oak located in the province of Badajoz. Once slaughtered, the hams are selected, cured in salt and ripened for a period of 30 to 36 months in natural dryers of Extremadura. 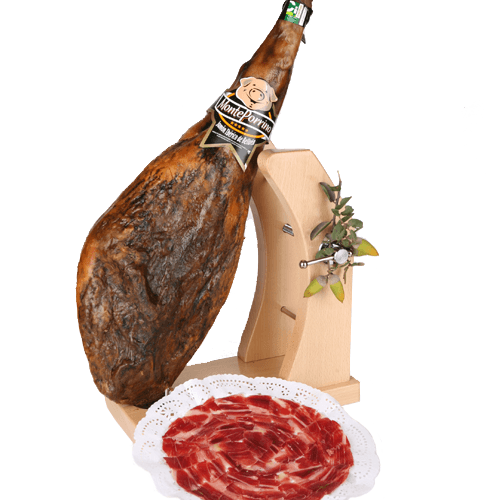 Bellota iberian ham is the gourmet product star of the Spanish gastronomy. 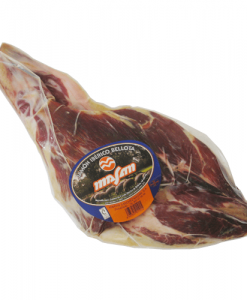 Iberian ham is characterized by its intramuscular fat that gives it its tender and juicy texture. 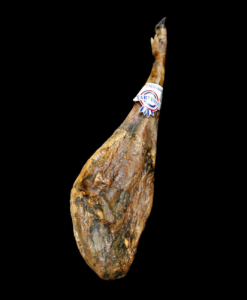 In addition, the Iberian acorn ham is distinguished by its delicious and subtle flavor, unlike other hams of other breeds and fed with feed. Iberian pigs differ visually as a stylized ham with a thin cane. Likewise, the Iberian pig has a longer skeleton, with an elongated and worn hoof when walking in the field. 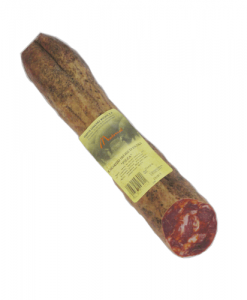 The feeding of the Iberian pigs Monteporrino is carried out in extensive regime where the pig is at liberty and it is nourished of acorn coming mainly of oak and to a lesser extent of cork, as well as of small invertebrates and natural grasses. Iberian acorn ham and salt.